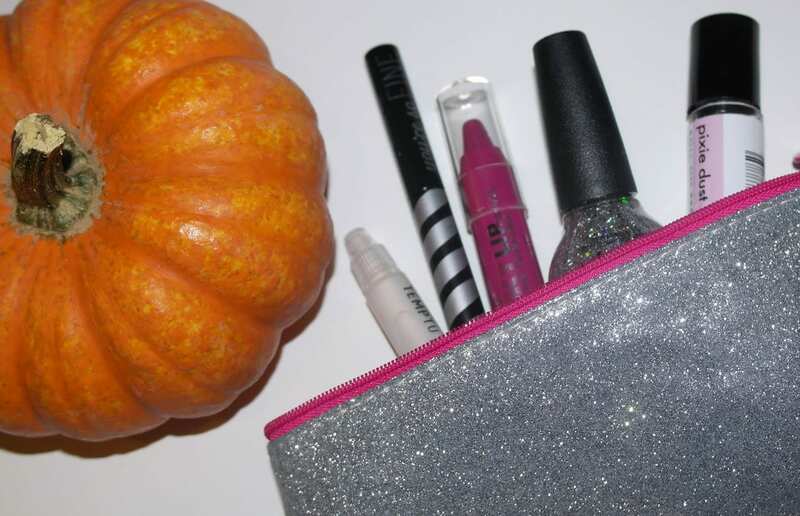 I’m just going to go ahead and say it–this is my favorite Ipsy bag yet! I love the products I received this month, and the bag is just adorable! 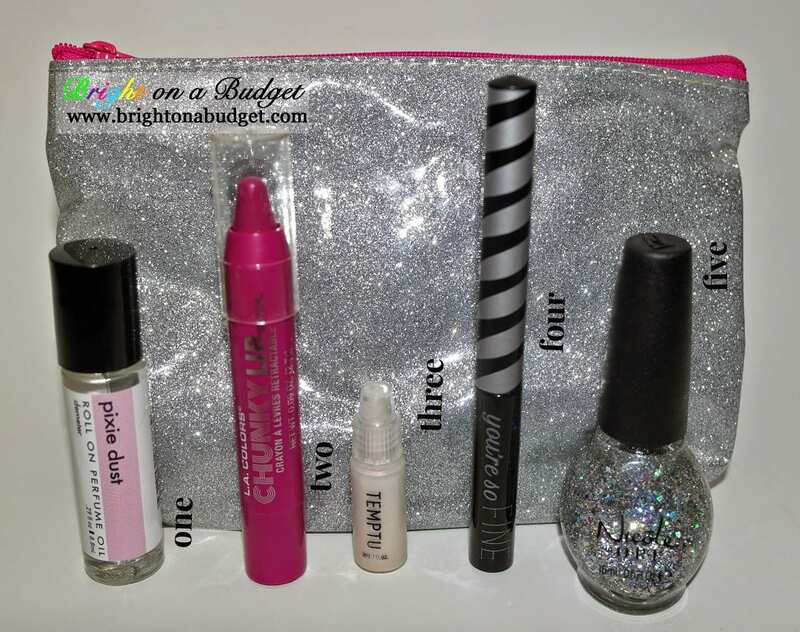 This is the perfect holiday party kit, and is perfectly named Girl Meets Glitter. The description on the website describes this fragrance as “fruity, sugary and light as the air itself.” Not only is the scent nice, but it’s perfect to pack in my purse for on-the-go touch-ups (or those days when you walk out and forget to spritz some perfume). I’m not going to lie. Before trying this lip pencil, I thought of L.A. Colors as an out-dated brand. I was surprised when I tried this pencil and loved it! Great color and soft, buttery formula. This was my least favorite product, but that’s probably because I’m hooked on the highlighter I’m currently using. I am, however, looking forward to wearing this to some holiday parties! I tried the glitter liquid eyeliner from Stila a couple of years ago and haven’t tried one since. I have sensitive eyes, and it was a disaster. Because of that experience, I was a little apprehensive when it came to trying this product, but it turned out great. My eyes didn’t itch, and it gave the perfect amount of shimmer! I always like receiving nail polish in my bag, and this was no exception. The iridescent sparkles really make this polish stand out! I think it looks great over the darker nail polish shades for fall and the upcoming holidays. You can head over to Instagram to check out the mani I did using this shade! This was such a fun bag, and absolutely perfect with the holiday season approaching! What do you think about Ipsy and these products? If you’re interested in trying Ipsy, you can sign up through my referral link here. Also, be sure to check out the Scary Mommy Thanksgiving Project here–they help families in need to have a wonderful and filling Thanksgiving! Looks like you received an awesome bag! 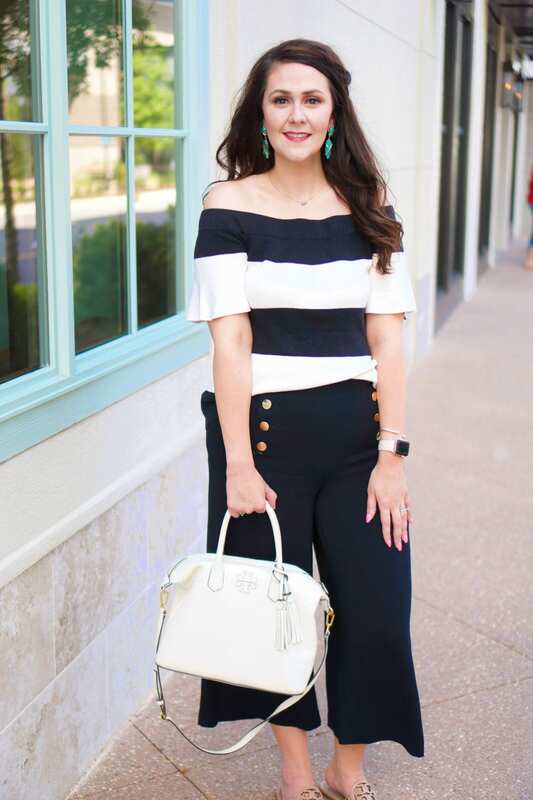 I love all of the items in your glam bag! I saw that it was L.A. Colors and immediately thought of Jr. high! haha I didn't realized they had updated that much, may have to give it a second look when I'm at the store next. And I agree, love the nail polish! The glitter is perfect for the holiday season. So crazy how the bags can differ so much! Jealous of the glitter polish! I've been on the fence about trying out Ipsy, but after seeing this one, I may need to finally give in! All of the products look great – thanks for sharing! Your bag is completely different than mine! I'm jealous of the lip crayon! I got a lip stain that I didn't care for. Me too:) I hope your bag is better next month! Right?! This is an excellent one. It definitely took me way back too!!! I was impressed with it though. It was similar to the balm stick in the Walmart Beauty Bag. I was super excited to get it in my bag! I know–that lip stain you got has seemed to be a dud for most people. M, you definitely need to try it if you've been interested. It took me a while to jump ship from Birchbox, but I'm so glad I did! Becky and Della both got the lip stain, and they didn't care for it either. The lip crayon was of much better quality than I expected. I've always wanted to try Ipsy, but have never sucked it up and actually done it! This bag looks great, so it might just be the kick in the pants I need to sign up! Girl, I love love love me some Ipsy! My bag last month sucked, but I'm thinking that one was just a fluke. And even though the products sucked, the bag itself was adorable, so it wasn't a total loss.